Now THIS is the type of direction we want to see more of the advertising industry heading in! Continuing the empowering momentum of the femvertising phenomenon, which was started by Dove over a decade ago long before it had such a catchy name, we have seen more and more brands creating campaigns with powerful messages that don’t make us want to hate ourselves simply to purchase a product. While some may see it as a way to turn the current focus on feminism into a consumer good, we have a different perspective. Yes, at the end of the day these brands want (and need) to make money to stay alive. But because they are so recognizable and influential in our daily lives, why shouldn’t we feel like we are powerful, can achieve anything, are valued as leaders, and naturally beautiful as we put on deodorant, shampoo our hair, apply moisturizer and get dressed in our workout clothes? Here are three very well-known brands who are becoming part of the movement to utilize their powerful platform in the consumer world to share a positive messages with the people who buy their products. The first is Brawny paper towels. Sure, it’s a kitchen product, but for a long time America has become quite accustomed to the imagery of the Brawny man. We’re talking about the bearded, tough looking guy wearing a red flannel shirt, indicating he is well and truly within the boundaries of the stereotyped masculinity that is very present in the world today. 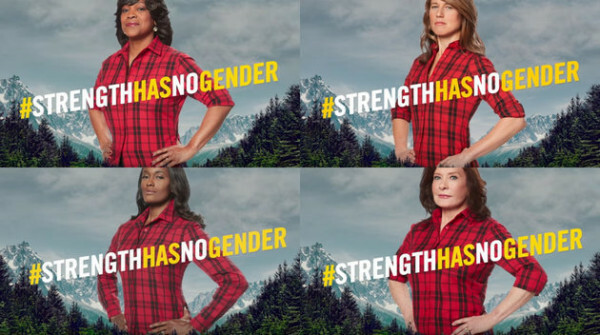 But in their latest campaign titled ‘Strength Has No Gender’, they wanted to break down the stereotype that something “tough” in the kitchen that “gets the job done” like fictional Brawny man would in a lumberjack yard, and instead portray strength as a feminine quality as well. Their message is that “strength has no gender”, and they enlisted the help of WNBA star Swin Cash, CEO of Alvarado Construction Linda Alvarado (and the first Hispanic owner of a major league baseball team), Dr. Valerie Montgomery who is the president and dean of the Morehouse School of Medicine, and Michigan firefighter Maureen Stoecklein. Each of the women is featured in separate interview where the give an overview of their life story and how they got to where they are today. The journeys are no doubt impressive, but they are not new. There are so many women in the world with such extraordinary abilities and successes, why shouldn’t they be subconsciously associated with the notion of strength? The second campaign is hair care brand Shea Moisture’s ‘Break The Walls’. This video and message is about highlighting the damaging way the beauty industry has clearly separated different kinds of aesthetics and taught us what we should view as “normal” and “other”. 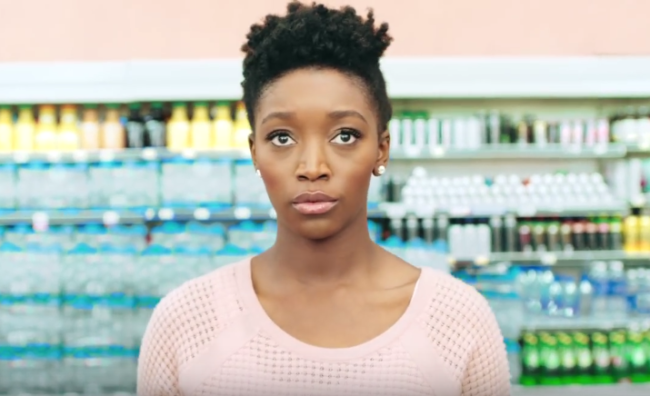 In the powerful video below, the women featured talked about how growing up with hair that had more curls and frizz, they only found the right products in the “ethnic” aisle and it told them all they needed to know about how the world views their hair. The campaign features everyday women, a few of whom are beauty bloggers (Naptural85, SunKissAlba, and MahoganyCurls), and in a separate behind-the-scenes video each of them talk about their own experience of feeling less than the commonly known standard of “beauty” because of their hair. And this is a message that is more than follicle-deep. “I have often said over the last 20 years that the beauty aisle is the last place in America where segregation is still legal, and separating ‘beauty’ from ‘ethnic’ has only served to further perpetuate narrow standards of what is considered beautiful in our industry and our society — which is why we began leading the efforts to break down those walls,” said Richelieu Dennis, the founder and CEO of Sundial Brands. More of this type of message can be found in the insightful documentary ‘Dark Girls’, where we discover the deep-seated anger and divide associated with skin color that is still very prevalent today. If Shea moisture has an opportunity to influence culture in a way that is more inclusive, we are ALL about that. “This movement is about so much more than selling shampoo, or lotion, or cosmetics. We’re advancing a mission and vision to change the social dialogue about how we’re looking at beauty as a society and how those archaic structures and views are debilitating to the establishment of new and more inclusive ways of viewing beauty – whether in the images we see or in the aisles that divide,” said Richelieu. 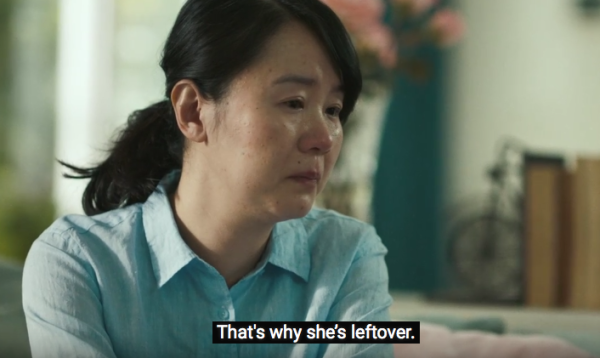 The last video campaign, which is both heartbreaking and powerful, comes from skincare brand SK-II. The ad is for China, and is part of their #ChangeDestiny initiative which is all about breaking taboos and creating new perceptions about what it means to be a woman in today’s world. In this particular video, they are challenging the phenomenon of the “leftover woman”. No prizes for guessing what that phrase is all about. In China, if a woman is over 25 and not married, she is culturally considered a “leftover woman” and becomes somewhat of a social pariah. The heartbreaking testimonies of the handful of women who share their story, culminate in an event called the Marriage Market. This is the place where families comes to advertise their offspring in the hope they will catch potential suitors eyes. The women featured talk about how they hate having to “advertise” themselves, and that attitude it contrast with many of their parents who express how sad they are because their daughter (despite being successful elsewhere in her life) isn’t married. One father even described it as akin to heart disease. Of course the irony of SK-II being a brand that promotes “ageless beauty” yet talking about bucking the traditions is not lost on us, but the video exposes a patriarchal and sexist culture which women are taking a stand against. 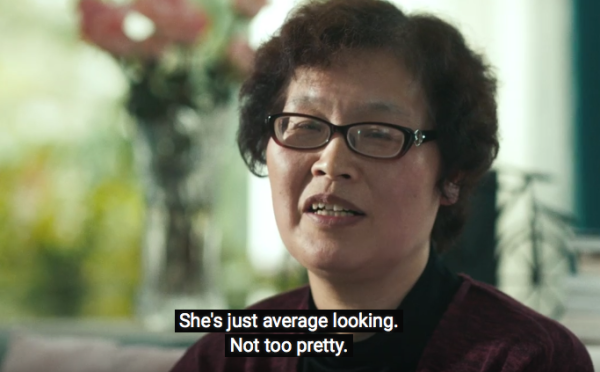 If this campaign can encourage more women in China to embrace who they are and not feel like they are somehow “less than” because they haven’t found a husband, then it is already a win. In Nigerian author Chimamanda Ngozi Adichie’s TED Talk where she says “we should all be feminists”, she says there is a dangerous trend of teaching girls to “aspire” to marriage, and that everything about their lives leading up to that event is about preparing themselves for it – to dress a certain way, act a certain way, and speak a certain way in order to seem more attractive to a potential husband. We live in a time in history where women don’t need marriage to get ahead in life or make it in the world. Our mothers, grandmothers and great grandmothers fought so hard for our right to vote, raise our voices, own property, have careers and choose the direction of our lives. Getting married to someone should be a blessing, not a mandate. If this is the direction of the advertising industry, then keep it coming because we will have no problem spending money on a product that comes with an empowering, not demeaning message.